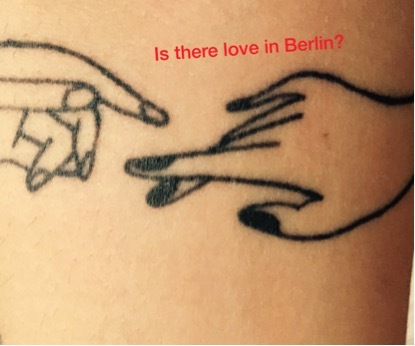 Based on intimate life stories, without fearing sexual ethics, gender norms and the tyranny of political correctness, the lecture ‘Is there love in Berlin?’ proposes an existential reflexion upon the strong dependence on love. 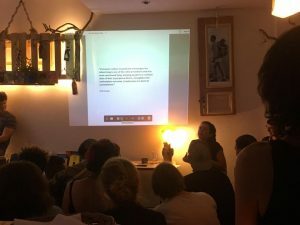 After collecting stories in the neighborhood of Neukölln, Rhodi invites the audience to a lecture-performance about the sometimes positive, sometimes tragic personal and universal stories of love in Berlin. 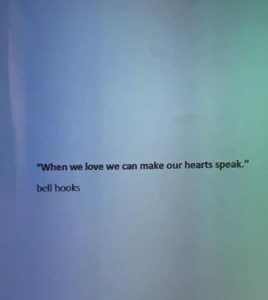 She will touch on the compulsive drive to consume love as an expression of primal needs such as the need for care, nourishment, safety, belonging, emotional intimacy and validation. 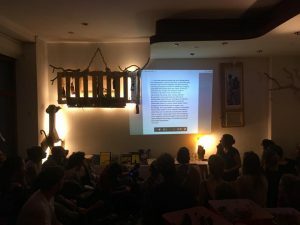 ‘Is there love in Berlin?’ connects love and addiction and their relation with capitalism, gender and social class, taking in consideration the contemporary experience of virtual relations and the blurring of the boundaries between the public and the private. Attempting to deconstruct patriarchal structures of power and oppression mechanisms, Rhodi applies the aesthetics of the ‘personal is political’ as an empowering creative tool.